A man who has been an outspoken critic of the south Florida city where he lives is now 2-0 in disputes with the city before the Supreme Court. 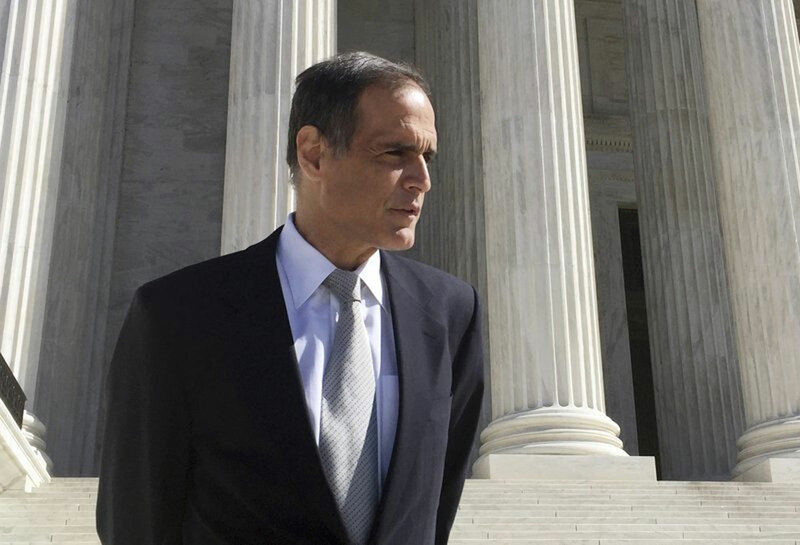 The Supreme Court on Monday sided with Fane Lozman in a lawsuit that began with his 2006 arrest at a City of Riviera Beach city council meeting. Lozman, who also won a case against the city at the Supreme Court in 2013, was arrested while talking about corruption in the county during a public comment portion of the meeting. Lozman, 56, argued he was arrested in retaliation for being a critic of the city and sued. But a lower court said Lozman was barred from bringing a lawsuit for retaliation because a jury found a police officer had probable cause to arrest him for disturbing a lawful assembly. The Supreme Court disagreed, with Justice Anthony Kennedy writing in an 8-1 decision that Lozman’s lawsuit isn’t barred. Justice Clarence Thomas dissented. “What happened to me was wrong. It happens all the time to public speakers. This is going to tell municipalities that you’re not immunized from legal actions. There is a price to pay,” Lozman said in a telephone interview after the decision was announced. The decision doesn’t end the case. Kennedy wrote that an appeals court should look at several issues when re-evaluating the case, directing the court to use as guidance a previous case that Lozman had advocated. The appeals court could rule in Lozman’s favor or against him, said Kerri L. Barsh, one of Lozman’s attorneys, but said the court had previously suggested Lozman made a strong case that he was retaliated against. An attorney for the city, Benjamin Bedard, called the decision “narrow” and said there are various arguments open to the city when it returns to the appeals court. He said the city hopes to persuade the appeals court to rule in favor of the city and said the city never had a policy or agreement to retaliate against Lozman. It’s also possible the case could settle. Lozman said part of what’d he’d want is an apology and for the city to pay his legal fees and other costs, which now are over $200,000. Lozman was arrested on Nov. 15, 2006 after he began using the meeting’s public comment time to talk about government corruption in Palm Beach County, where the City of Riviera Beach is located. He kept speaking after a member of the council warned him not to continue with the topic. The charges against him were ultimately dismissed, but Lozman then turned around and sued the city. Lozman claimed the city violated the First Amendment’s free speech guarantee by arresting him in retaliation for his criticism of city officials and policies and a separate lawsuit he’d filed against the city. Numerous First Amendment and media organizations, including The Associated Press, filed briefs supporting Lozman. Lozman’s win Monday comes five years after his last victory at the court. In 2013, the justices sided with Lozman in ruling that a floating home that he had docked at a city-owned marina was a house, not a boat subject to easier government seizure under laws that govern ships and boats. The case decided Monday is 17-21, Lozman v. City of Riviera Beach.